We usually stay in hotels for our staycations or if we are on the road traveling. But have you tried to stay in a so called Bed and Breakfast? I did when I was in Bacolod and Dumaguete a few years back. Unlike the big hotels, a bed and breakfast are usually houses, sometimes old or ancestral house, offering accommodation for travellers and the like. The accommodation type are usually papering and personalized in an attractive house with an instagram worthy interiors as oppose to standardize services of a regular accommodation. I arrived in this oasis in Paranaque City earlier that usual. I called them earlier if I can check-in at around 11AM instead of the usual 2PM check-in. I was welcomed by a staff that of course wearing a purple uniform. They were genuinely polite when they accommodate me and I was enthusiastically ushered to my room located on the second floor. I had to set my expectation when I came in The Purple Tree Bed and Breakfast. Its not a hotel but a bed and breakfast - as the name imply I expected to have a homey feel during my stay. I wasn't disappointed with my stay instead I had to commend the staff of this bed and breakfast for good vibe atmosphere. Our room was comfy enough to have a good night sleep. The white linen used in each rooms are top of the class and can be matched with branded hotels in the world. One side of the wall is decorated with two illutionary painting that is actually a board wrapped with an intricately printed cloth. I was amazed with the creativity displayed on my wall. 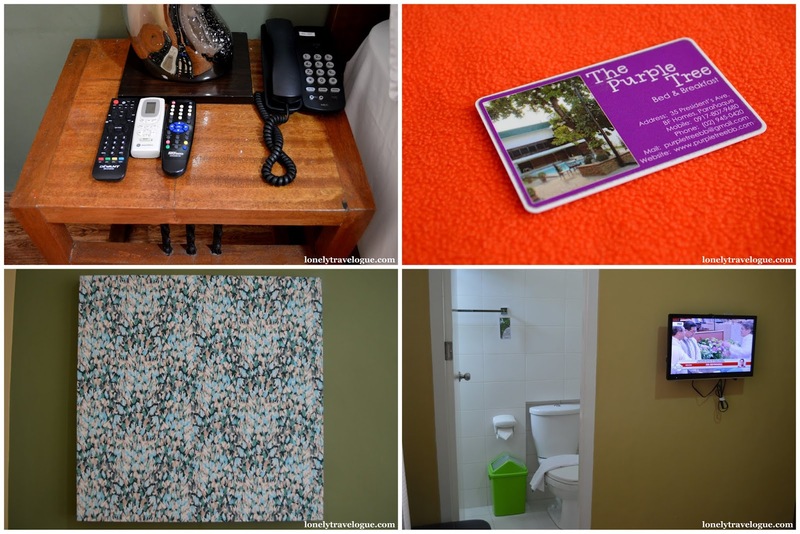 Purple Tree Bed and Breakfast is not just a place for you to stay and relax it is also an art gallery. Amaze yourself with paintings displayed on the walls painted by Filipino artist. An advocacy of the owner to help local artisan here in the Philippines. 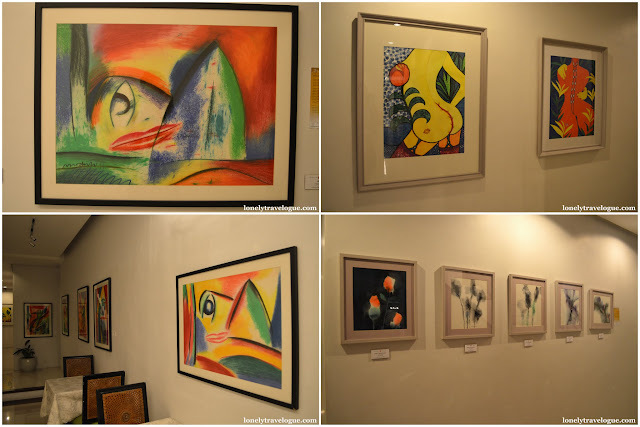 These paintings are commissioned by Hiraya Gallery. These paintings will stay there until this year (2015). They have different collection per quarter or year depending on the contract with the art gallery. 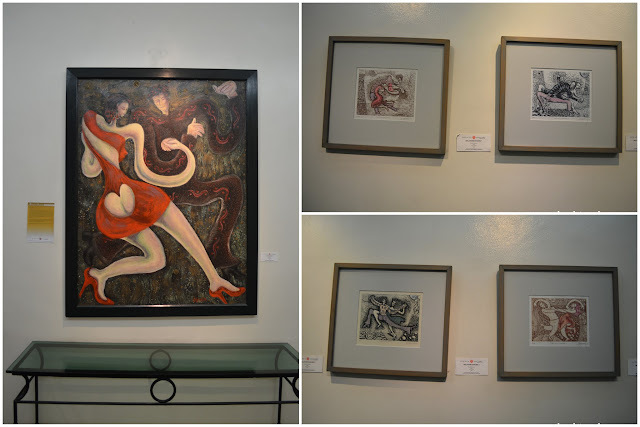 But for now you can enjoy the paintings from Hiraya Gallery or you can buy it if you liked it. The jewel of The Purple Tree Bed and Breakfast is the courtyard with a pool just outside its reception area.This is like an oasis in the city. The blow of the air will simply tell you that you are in a relax place, that its time for you to savor life and pause for a while. The centerpiece of course is the purple tree that the bed and breakfast got its name. It got me wondering what is a purple tree. Later I learned that they referred to the color of the fruit of what they call the "purple tree" which is fact a black palm or duhat in Filipino. You can actually work or do some past time stuff online under the purple tree because the garden has a good Internet connection. Here's more from the owner Mr. JJ Atayde. 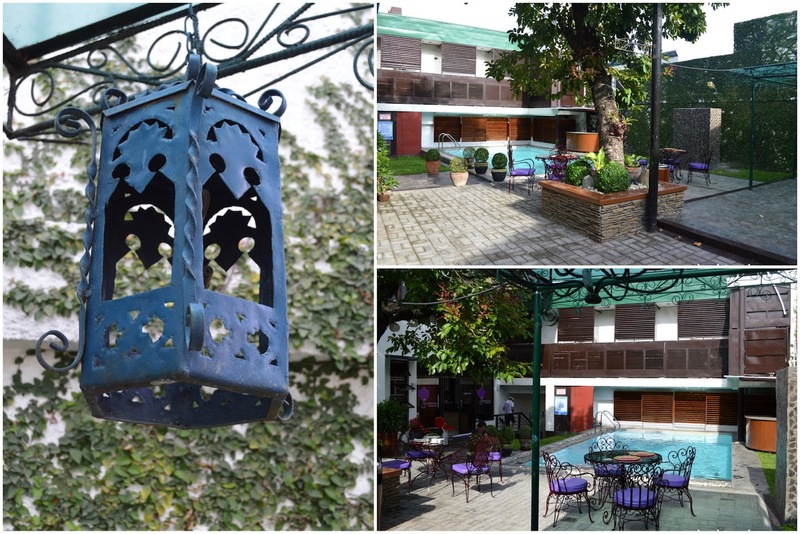 Located just in front of the Purple Tree Bed and Breakfast courtyard is a household name in terms of home heart-warming cooked meals served in restaurants. For decades Dayrit's Burger & Roastbeef House has been there providing nostalgia in our table as we enjoy hand down recipe's. 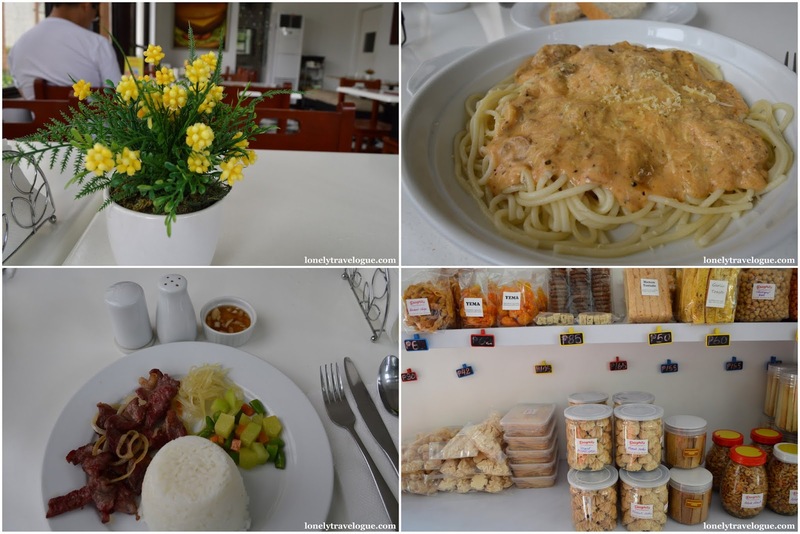 When you stay in The Purple Tree Bed and Breakfast be sure to experience the nostalgic menu of Dayrit's Burger & Roastbeef House.